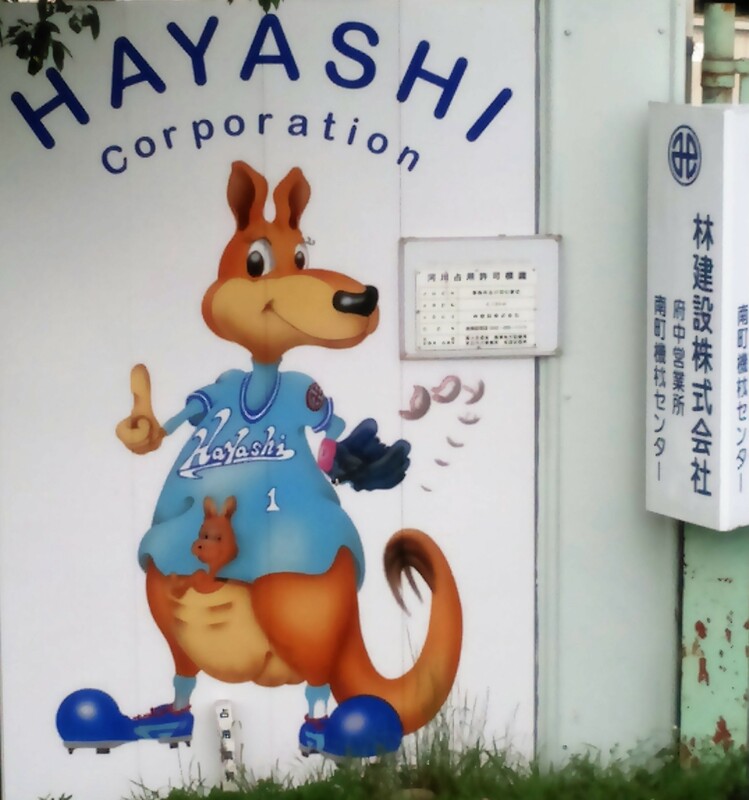 Japan has a strange affinity when it comes to using Australian animals for its advertising. A number of major Japanese corporations use koalas and roos to plug their products and services. One with a difference is Hayashi Corporation, a construction company with a history of over 100 years and based in suburban Tokyo. 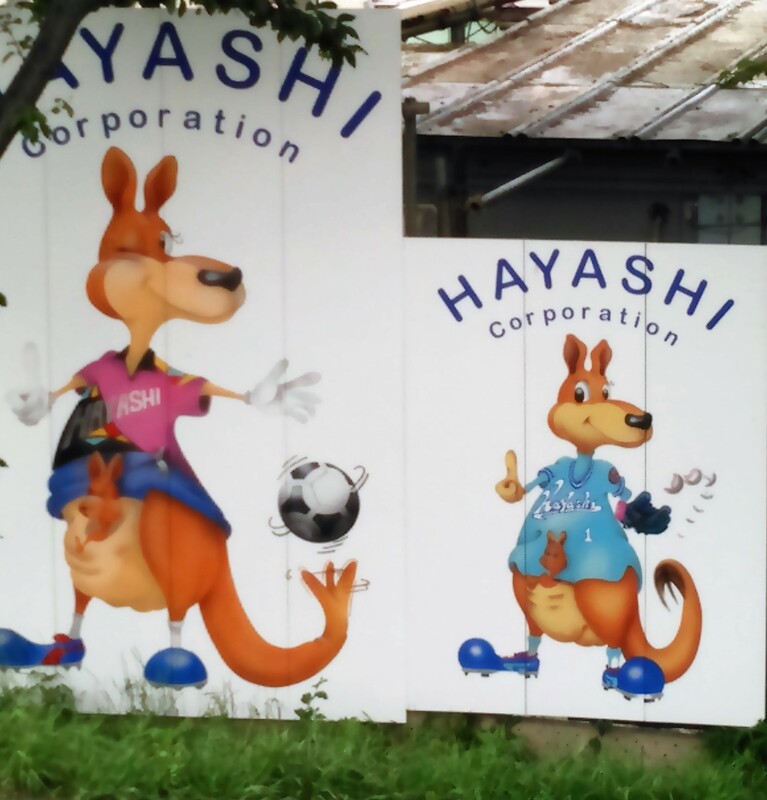 Hayashi Corporation’s Fuchu branch office entrance is adorned with photos of a family of cartoon kangaroos decked out in soccer gear, just like Australia’s national football team, the Socceroos. Japan’s next opponent in World Cup qualifying is Australia, but there’s no connection. What is interesting to note, though, is that the kangaroos had been painted over until quite recently. They were restored after many years and now stand out prominently. The reason for why this marsupial touch has been added to outer suburban Tokyo remains a mystery, though.